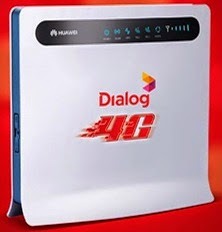 Then you should want to buy Dialog Fixed 4G LTE Broadband connection without Dialog 4G router(Connection fee is Rs.5000.00). Dialog 4G data packages you can check here. Dialog 4G coverage check here.Now put fixed 4G data sim in to the Huawei E3276 dongle and easily connect to the Fixed 4G LTE network. I am test this method an now you can get speed up to 50Mbps. Enjoy. This way, can I have a 3G connection using my 4G sim, while I'm travelling (where there is no 4G coverage)?